Philadelphia Welcomes the Democratic National Convention; Darby Wire Mesh is Ready! Last year, Pope Francis graced Philadelphia for a long weekend. 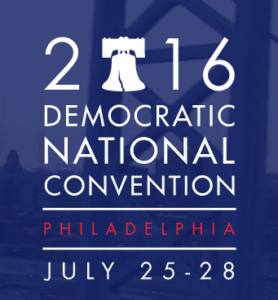 This year, the DNC visits Philly for the week. We may be a bit biased, but we love our city! We are always happy to welcome visitors to Philadelphia. 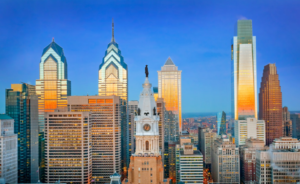 Philadelphia is often referred to the birthplace of America because it was in the city that the Declaration of Independence was signed in 1776. The Founding Fathers of our nation often spent time in Independence Hall and the surrounding area. This larger area today is known as Old City, and the Old City area will always hold a special place in the history of our company, Edward J. Darby & Son, Inc. It is believed that one of Darby’s first manufacturing facilities was located on the 200 block of Arch Street, a few blocks from Independence Hall. Darby is no longer based in Old City. We are now headquartered in North Philadelphia, a few blocks from Temple University. As the Democratic National Convention is set to take over the city, we want to let all of our customers know that Darby Wire Mesh has taken the necessary precautions to make sure your requirements are taken care of. We have coordinated with our shipping carriers, and they have ensured us that they do not expect delays. At Darby, we will be here, amid the hustle and bustle, to make sure we are able to service all of your wire mesh needs. Feel free to talk to us about any special requirements you may have. Previous Post: Previous post: Darby launches new website!